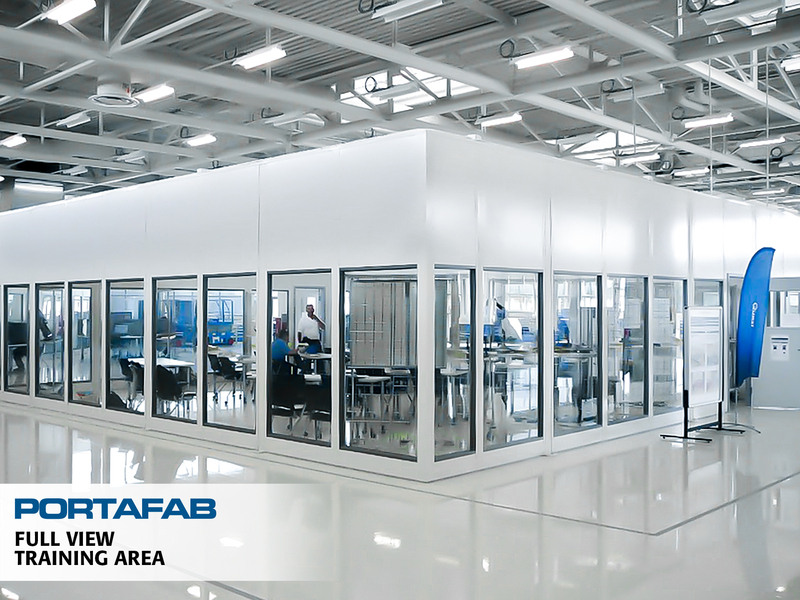 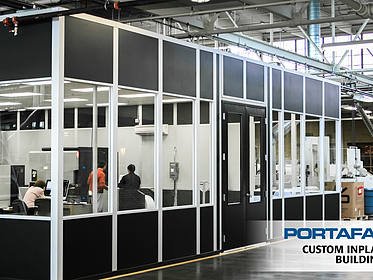 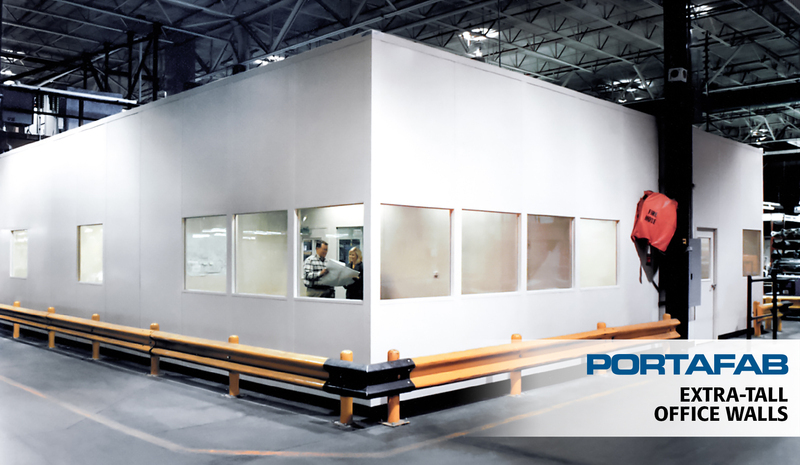 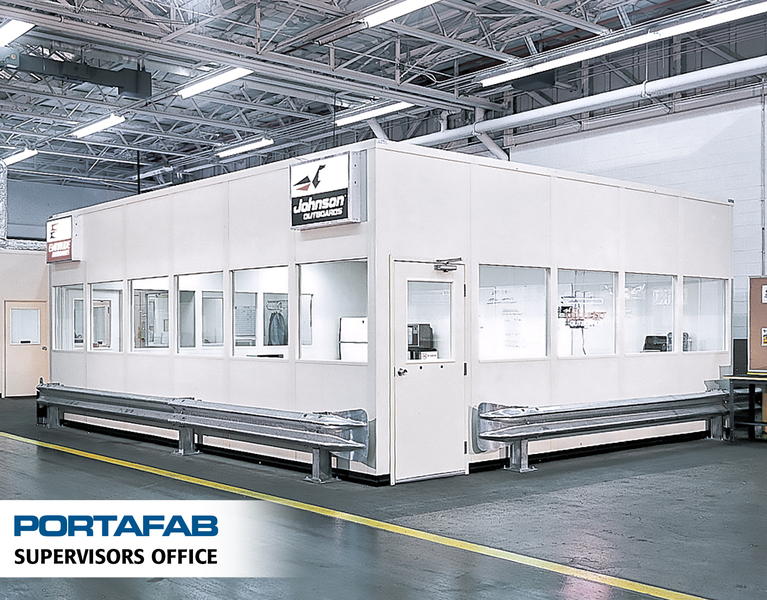 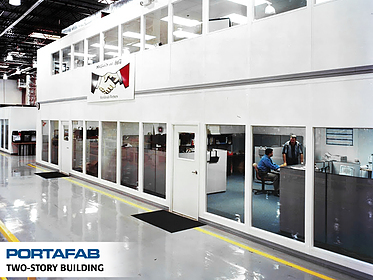 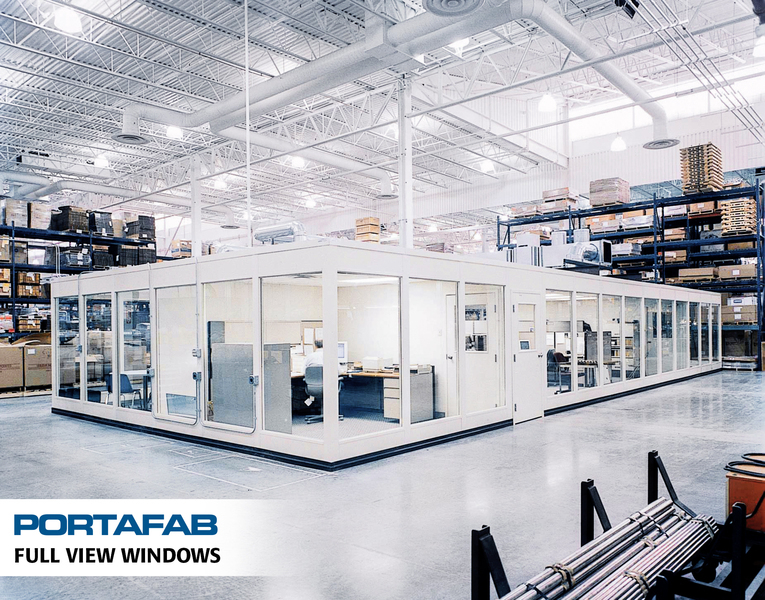 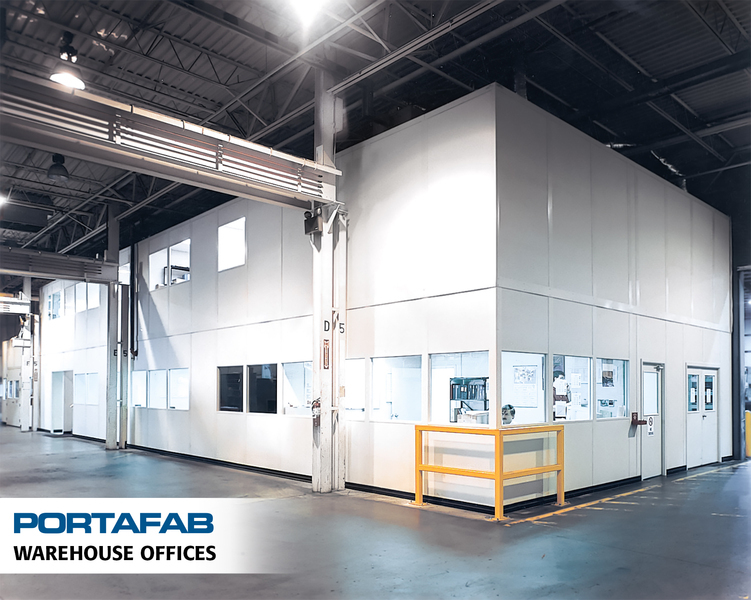 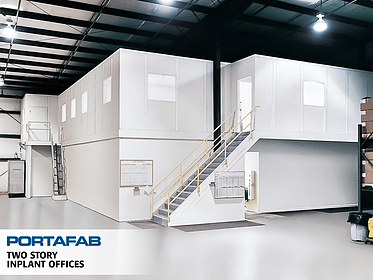 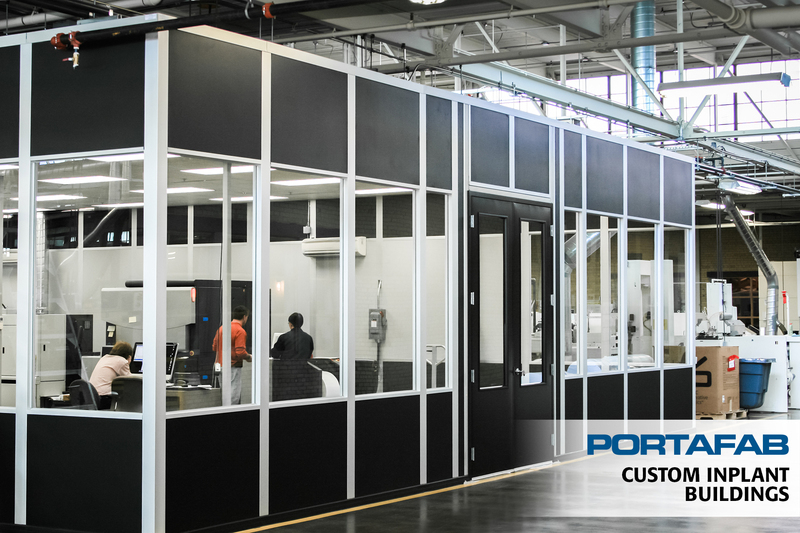 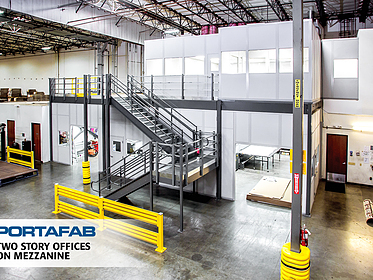 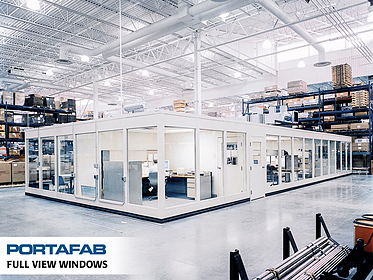 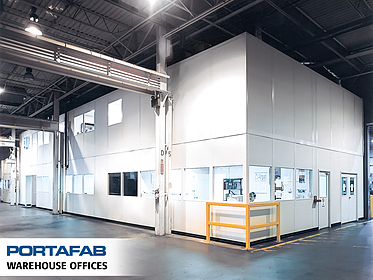 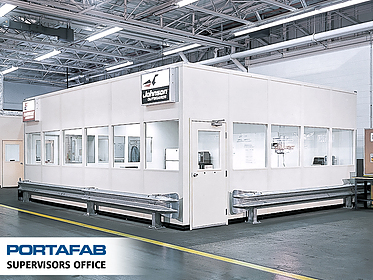 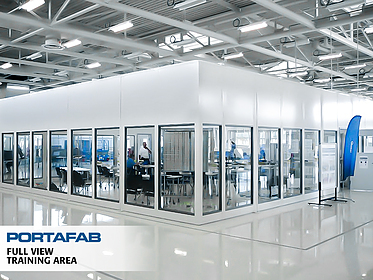 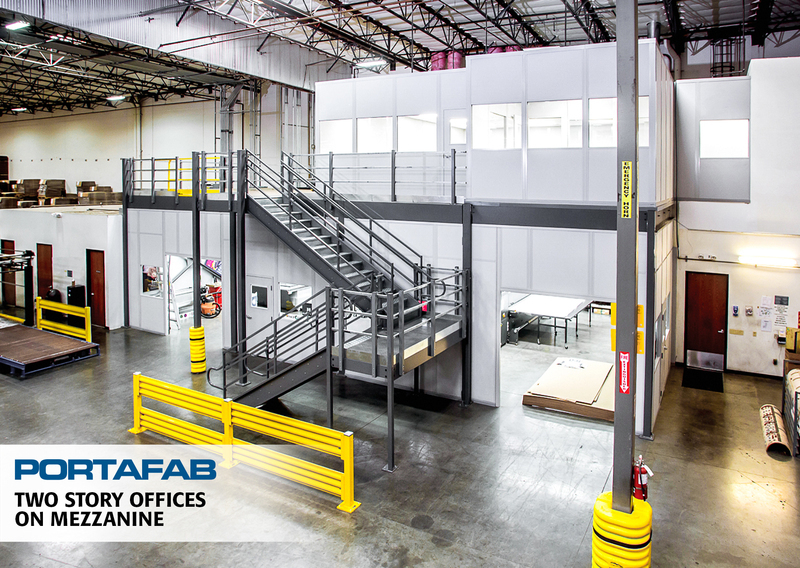 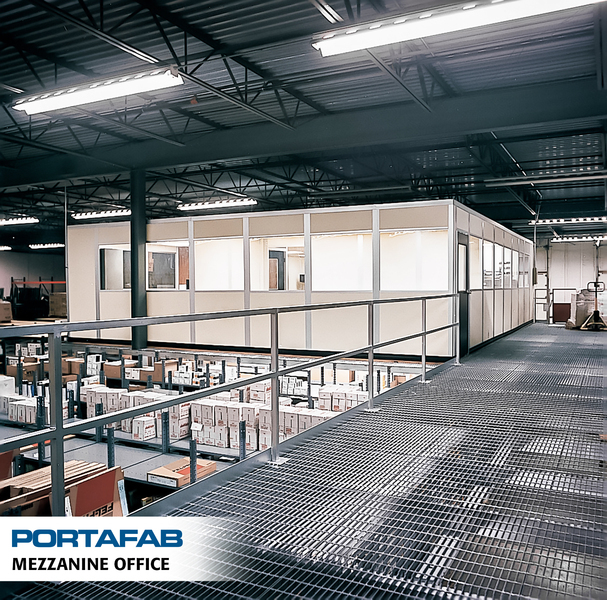 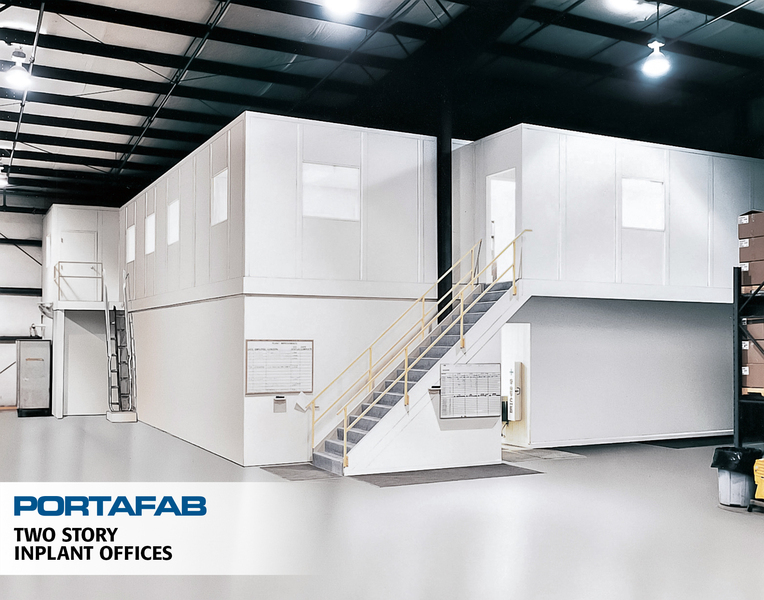 When changes in your business create new demands for inplant space utilization, PortaFab's modular office and building products provide you with unlimited flexibility to respond quickly and cost-effectively to your needs. 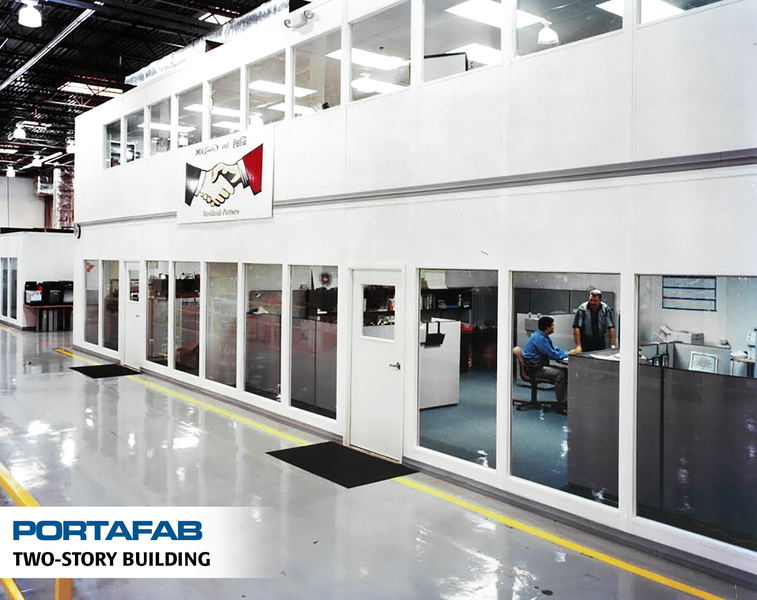 Using PortaFab's modular systems, you can build anything that can be built with traditional construction materials, in less time and with less demands on your end. 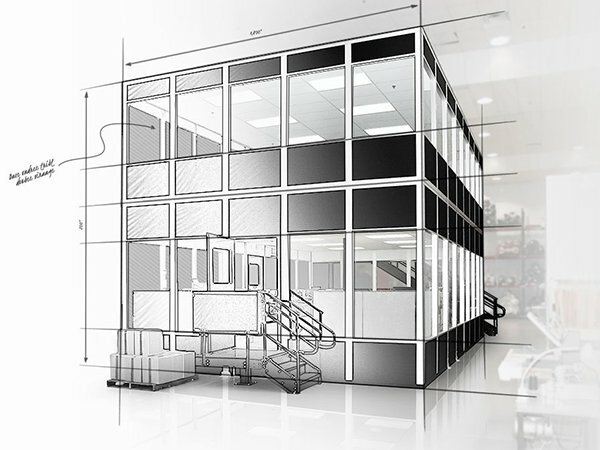 See how we've simplified the construction process. 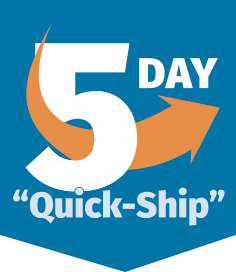 Our popular "Quick-Ship" program capitalizes on our integrated modular system design and interchangeability of parts which allows us to ship 80% of our in-plant office orders within 5 days of order approval. 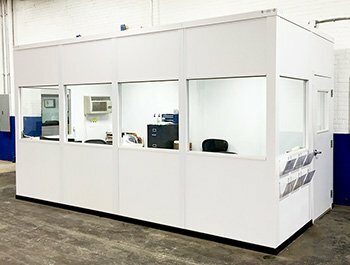 From 8x8 to 20x40, we offer 30 different sizes which can typically be delivered within one week of an order. 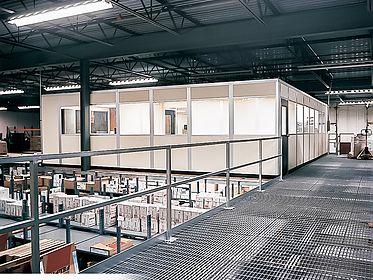 Standard 8'x16' "quick-ship" modular office. 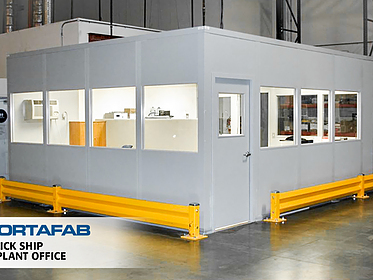 In addition to our line of Standard "Quick-Ship" modular office sizes, our modular building systems can be used in a variety of custom configurations to transform all types of spaces in an unlimited number of possibilities. 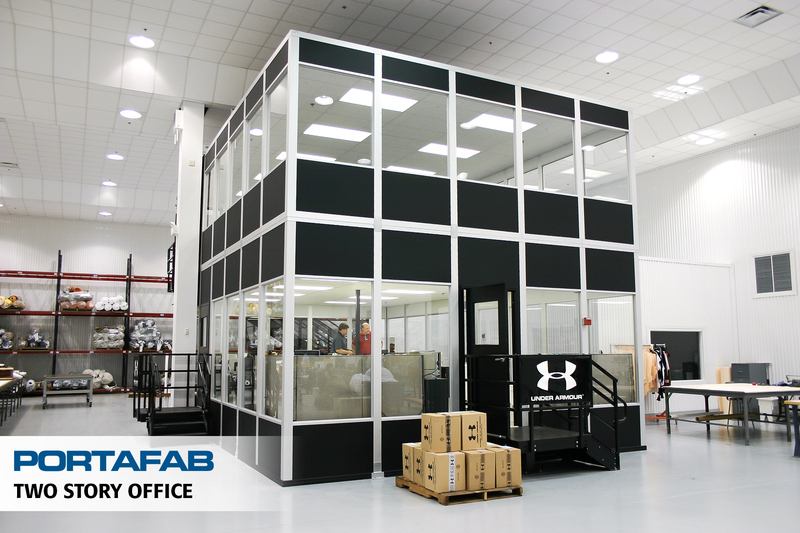 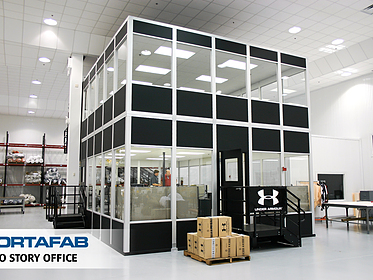 With the largest selection of interchangeable modular components in our industry, we can provide a custom designed building to showcase your brand. 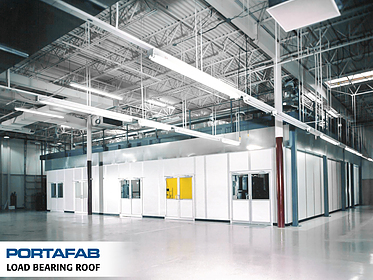 At the heart of every modular wall system lies the metal stud framing. 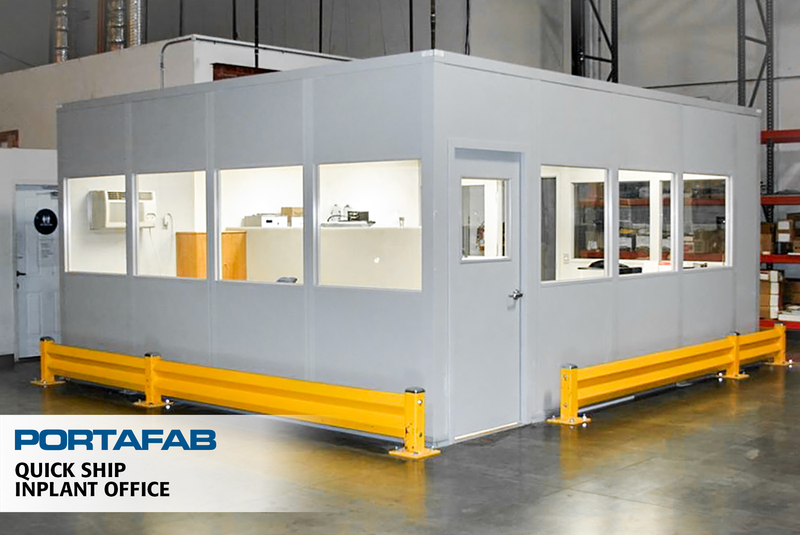 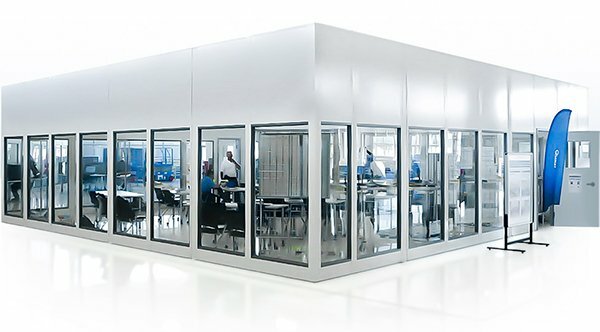 Not only does this provide the structural integrity for the entire office or enclosure, but it also makes the system relocatable, attractive, and easy to assemble and wire. 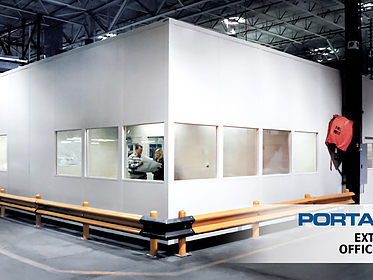 Featuring six different wall framing systems, we can provide the most economical and reliable system for your application.